As we continue the new year, let's reflect on the book our right wing Christian opponents use to justify denying us our rights. 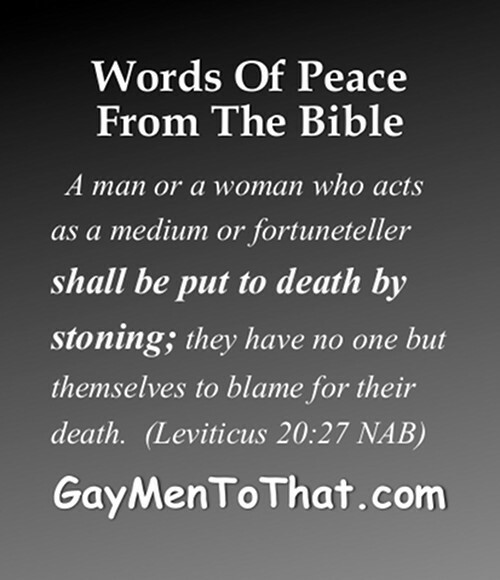 Some of the verses are directly related to homosexuality and some are not. All show that taking the bible literally is kind of silly because, hopefully, we have evolved beyond these words.